The DSZ – International Giving Foundation, established by the Donors’ Association, supports domestic private persons, non-profit organisations, such as foundations and associations, and companies with a domicile in Germany in their charitable efforts abroad – without much administrative effort, legally compliant and tax deductible. 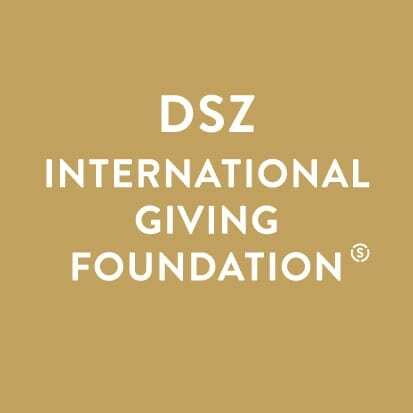 The DSZ – International Giving Foundation supports foreign projects of private donors, companies and charitable organisations. In doing so, we check the non-profit status of the receiving organisation and handle the subsequent reporting commitment to the German financial authorities. That way, we can ensure that you will be provided with an official German donation receipt. The DSZ – International Giving Foundation pursues all charitable purposes recognised in Germany as per § 52 AO (Tax Code). Foreign bodies will be checked for their non-profit status before processing the donation. For this purpose, we review documents, such as the statutes and governmental confirmation of the non-profit status. If the conditions are met, you as donor will receive an authorisation. After confirming receipt of the donation in EUR or USD to our account, we promptly support your preferred organisation. After the donation process has been completed, you will immediately receive a donation receipt valid in Germany which you can use for your tax return. Foreign support is subject to the increased proof of the funds utilisation history. The DSZ – International Giving Foundation takes care of the provisions of the corresponding certifications.